You can now enjoy easy, full depth, comfortable bathing and get in and out of your own bath without the worry of losing your balance or slipping. 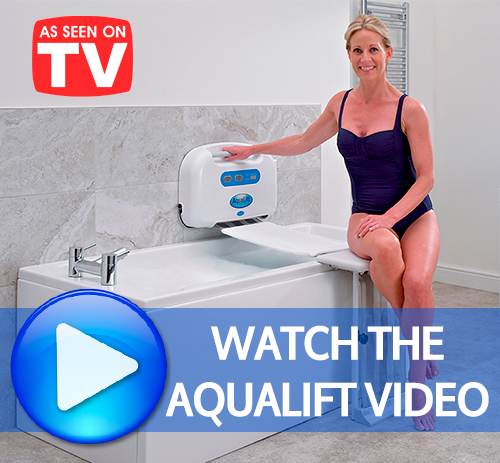 The Aqualift is one of the safest and most comfortable bath lifts available. Effortlessly smooth, the Aqualift lowers and lifts you gently and quietly into your own bath. The Aqualift has been designed to fit most baths and the compact unit takes up minimal space in your bathroom. Other members of the family can use the bath in the normal way by retracting the belt. Copyright © AQUALIFT | All Rights Reserved.